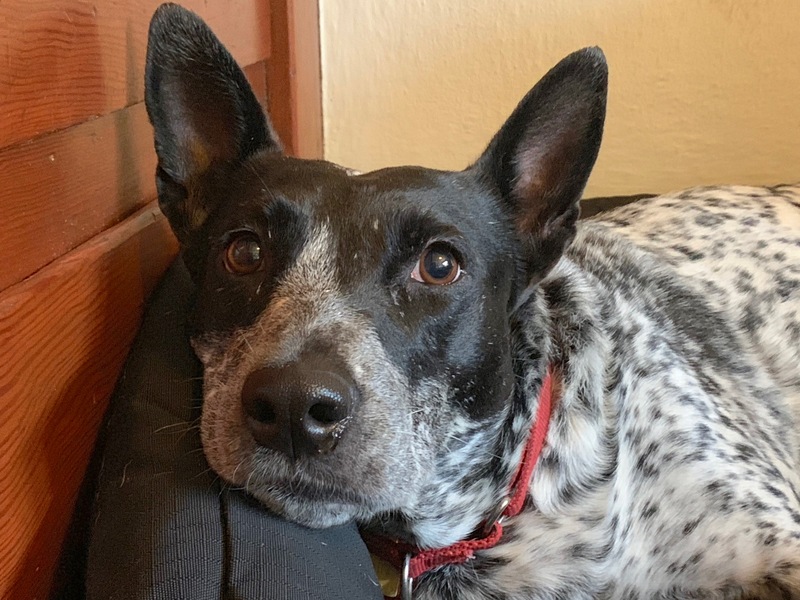 For this Pasadena dog behavior training session, we help Stella, a 5 year-old Australian Cattle Dog who came from an abused background and is now extremely fearful of dogs and people. As on one of LA’s resident dog behavior experts, I always appreciate the opportunity to work with dogs who were abused or had a traumatic history. Obviously I hate seeing dogs in this condition, but when I get the opportunity to help a fearful dog come back into the light, it can be inspiring and motivating. In this case the guardian was doing many things right. Often the first half of my in home dog psychology sessions are dedicated to all the common mistakes people make when trying to help a scared dog, but not this time. I recommend a number of small changes. Helping a anxious dog is best accomplished in small incremental steps. Too big of a step can cause the dog to regress when helping a dog who came from an abusive background. One of the tips I shared was what I like to call Petting with a Purpose. You can learn how to use this positive dog training method to build up a scared dogs confidence. Just like humans, dogs get a boost of self esteem when they master new skills. By giving attention within 3 seconds any time Stella does a desired action while marking it with the command word (and no other words), the guardian can help her increase her confidence and start offering desired behaviors. This is not hard, but it will take close observation, time and patience. Fortunately her guardian has both of these traits in abundance. Id love for the guardian to teach Stella a new trick or command a week until she knows 10 or more. But since Stella is so withdrawn due to her dog fear and anxiety, this will be more challenging than other dogs. The guardian may need to start small, perhaps with something as simple as a hand targeting exercise. Bringing in new people who join or take the dog for walks will be a powerful part of her transition from fearful dog to a confident one. If these people give her space, don’t try to engage and stick to walking at first, the variety and practice can help this fearful rescue dog gain confidence in herself and humans. We filmed a roadmap to success video where I detailed how to use the walks to help a fearful dog gain confidence, but I set the camera to slow motion making it an hour and a half long with no sound so I refilled it at my home in Nebraska. Click the video below to hear the walking tips and summary of what we covered in this in home dog training session.